The expedition considered the people living there to be healthy and handsome... They all appeared to be thriving on their 'meager diet' of fish and coconut, for no evidence of cultivation was seen... People of both sexes were tattooed with geometric designs and figures of turtles and fish. The numerous reports and journals of the Expedition leave the impression of a generally admirable people - amiable (though cautious), peaceful, orderly, and resourceful. Between 1841 and 1863, the population of Tokelau was reduced to a fraction of its original size by epidemics and kidnapping by slave ships. The old social and religious order was broken, and the inhabitants were converted to Christianity by overzealous and competing Protestant and Catholic missionaries. During this time, Tokelauans also gained new food sources from other Polynesian islands, including breadfruit trees, pulaka (a starchy tuber), pigs and chickens. Breadfruit is a starchy fruit used like plantain. Tokelau became a territory of New Zealand in 1925, and Tokelauans were granted New Zealand citizenship in 1948. In 1963, a government-assisted migration program was established to (voluntarily) bring Tokelauans to the New Zealand mainland, as the population of Tokelau had reached a cozy 1,870 people. When a cyclone devastated coconut and breadfruit crops in 1966, Tokelauans began taking advantage of the assisted migration program in earnest. By 1971, roughly half of Tokelauans lived on the New Zealand mainland. Through the late 1960s, cargo ships visited Tokelau every three months, making only small contributions to the islanders' diets. In 1968, just two percent of Tokelauans' calories came from sugar. By 1978, the number had risen to 8 percent, and by 1982, 14 percent. The increase came chiefly from refined sugar and sweetened imported foods. 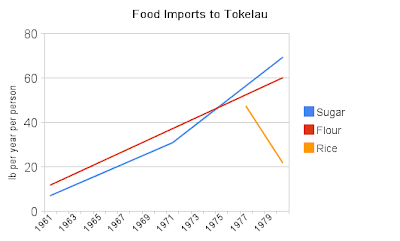 In 1961, ships brought 12 lb of flour per person per year to Tokelau, increasing to 60 lb per year by 1980. During this time, importation of low-quality canned meats such as "mutton flaps" and chicken backs, and sweets also increased. Rice imports declined in the 1970s. The diet of migrants to New Zealand rapidly became highly Westernized, containing a higher proportion of refined carbohydrates such as flour and sugar, more red meat and poultry, and less coconut and seafood. In the mid- and late twentieth century, 'Western diseases'- that is, diseases of affluence (Trowell and Burkitt 1981)- have become the major health risk for Polynesians, because of exposure to cosmopolitan diet patterns and life-style. The varying cultures and resource bases of islands in the Pacific have influenced the degree to which their populations have been modernized and thus exposed to Western diseases. At one end of the spectrum are relatively traditional subsistence societies such as those on Tokelau and on the low islands- for example Pukapuka, Manihiki, and Rakahanga in the Northern Cook Islands. These atolls are characterized by the almost complete absence of soil, by the inhabitants' dependence on coconut in varied forms, and by a bountiful supply of fish as a major part of the traditional diet. Their populations are notable for their low levels of blood pressure, high rates of infectious disease, and low rates of coronary heart disease, obesity and diabetes. At the other end of the spectrum are those Polynesian societies, such as the Hawaiians and the Maori of New Zealand, who were submerged by 'Western' settlers and the dominating cultures they brought with them. These populations have inevitably acquired the diseases of the 'West', sometimes to an exaggerated degree. That quote could have been straight out of Nutrition and Physical Degeneration, despite being published 60 years later. Good science is timeless. Join me in future posts as I explore the health of Tokelauan society as it transitions from a traditional diet and lifestyle to a modern one. One important fact which needs to be kept in mind when you look at the impact of diet on Pacific Islanders is that the genes associated with Type 2 diabetes in this population are unique and completely different from the genes related to the diabetes that occurs in European and other populations. Also--and this is often ignored--the natural history of the Diabetes Pacific Islanders get and the pattern of progression of complications is also different from that of European populations. So while the impact of a Western diet is extremely hard on this population, we should NOT draw dietary conclusions from their experience for people of Western genetic heritages who had many thousands of years to adapt to an agriculturally based diet. This is also true of the Pima of the American Southwest, which is why you no longer see the flood of Pima studies that were such a feature of diabetes research in the past. People isolated in harsh environments for many thousands of years do adapt to those environments and the food available there. I would also use caution in extending findings about Pacific Islanders' relationship with coconut oil to people with different genetic profiles. Coconut is a substance that their ancestors had to adapt to, in their diets, and that might have affected what ended up in their genomes. One has only to think of the different response to lactose in people's with ancient herding hsitories (like Europeans and Semites) who developed an unusual ability to digest milk as adults as opposed to those without who lose that ability after infancy (Chinese and some African peoples) to realize how the impact of lifestyle can change the genes related to diet. I disagree. Our ancestors didn't have diabetes, and now we do. Wild animals living naturally don't develop diabetes. It's clearly environmental. 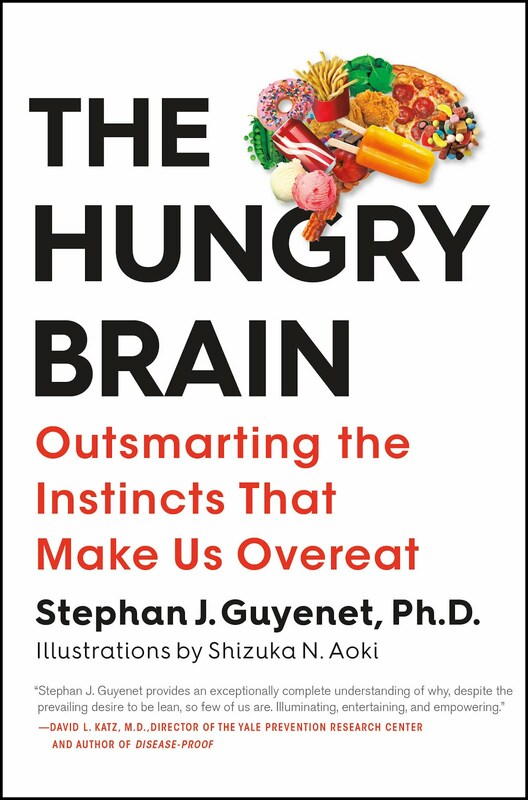 Even if the susceptibility genes aren't the same, on an empirical level, the result is no different: eat a modern Western diet, get diabetes. So I think this study is perfectly applicable to our own case. The diabetes rate in the U.S. is increasing alongside our consumption of the very foods that cause these problems throughout the world: flour, sugar and possibly refined vegetable oil. You see it in the Pacific islands, you see it in Africa, you see it in native Americans, you see it in European Americans. When white flour, sugar and other processed foods become staples, diabetes becomes a fact of life. It's not about the amount of carbohydrate or fat, it's about the introduction of certain processed Western foods. Not just diabetes though, a whole range of disorders from dental to immune. Polynesians haven't been Polynesians for that long, so I don't agree that they're specially adapted to coconut. They have been living on the Pacific islands for roughly 3,000 years. Europeans have been eating gluten for 10,000-5,000 years and 40+ percent of them still carry genes strongly linked to celiac disease. There may have been some "weeding out", but it certainly wasn't complete. Is it possible to take too much high vitamin butter oil or is it like food? I would stick to the recommended dosage. Stephen, I love your posts looking at past isolated peoples. You excel at analyzing these situations better than anyone else in the paleo/longevity blogger community. Here's what I do to make consumption of these oils easier: I melt a cup of coconut oil by putting the cup in a bowl of hot water (takes 15 or so mins to melt). Once liquid, I then add a quarter cup of palm oil, and two scoops of natural vanilla flavored whey protein powder (no sweetener in the whey). This will cool and harden within an hour, but it will be much soften than normal coconut oil, and easy to spoon out. So, 2-3 times a day I'll put a spoonful onto a square of extra dark (75% cocoa) chocolate, and trust me it's delicious. And totally healthy. BTW, another oil I use that doesn't get near enough attention: Tea oil. It has a higher smoking point than olive oil, and less PUFA. I use this oil almost exclusively for cooking--it's uncanny how it doesn't sizzle like other oils. Thanks Scott. Do you know if tea oil has a history of use in any traditional cultures? It is quite low in n-6, as you mentioned. Thanks for sharing. I haven't heard of this work before. Should be very interesting. When I attempted to eat a high intake of coconut meat, I noticed symptoms consistent with worsening blood sugar/insulin control such as hypoglycemia, hunger, acne outbreaks (PCOS marker) etc. Please note that I am already very low carb, so it is not as if I attempted to eat lots of coconut on top of sugar and starch. What I did, rather, was replace the more monosaturated/PUFA nuts I typically eat (such as peanuts and almonds) with the more saturated coconut. Results were not good. I also find that I have the best experience with butter fat and cream... fats derived from beef, dairy, pork, these seem best for me. Coconut oil (meat especially) is at best equal if not inferior to sources of fat which are heavily monosaturated in addition to saturated. Stephan - The point Jenny was making is that the sort of foods which help avoid diabetes in one population may not be the same for another population. As I mentioned, attempting to replace my usual nuts with coconut worsened glucose control for me and I do better with a blend of sat and mono fats, such as butter and fat from animals. Also, the foods that trigger diabetes for one population are not necessarily going to be as bad for another population. As someone who draws from central/western european heritage I can eat cheese and wheat without complication provided my glucose is controlled by not overcarbing. This isn't true of pacific islanders who have little to no tolerance for dairy and wheat. The more I consider it, the foods I really thrive on are foods that would be found frequently in the regions my anscestors are from... foods like butter and pork/beef fat, cheese, moderate amounts of wheat, berries, nuts, chocolate, I do well with that. Perhaps I tolerate less carb, but then again I probably have a lot of acquired metabolic damage too. This is what I do well with. The history of tea oil is difficult to pinpoint. It appears to have been in use by Asian royalty going back 2300 years. I am getting the impression that tea oil was the Asian version of olive oil, with a long history (and a very valuable commodity). The oil is apparently great for skin and facial use, too, and for centuries Geishas used it on their face. There is a sweetened version of dessicated coconut meat that is hihg in sugar 40%. The glycemic load is listed as 22. The sugar content of unsweetened coconut is low. Out of interest have you tried unrefined coconut fat instead of meat. That's interesting that they found a high rate of infectious disease -- was this comment made during a time of considerable European contact? Is it possible they had a low rate of infectious disease pre-contact? It will be interesting to see if their macronutrient ratio changed much when they added a starch source (breadfruit). In other words, it their % of calories from fat declined while their % of calories from starch increased...BEFORE they switched to Western food. If they did undergo this change without increasing incidence of Western diseases, that might say something. The e-mail listed on your Blogger profile is bouncing mail. Maybe you could consider creating a separate gmail account to handle communication on blog business? The high rates of infectious disease also caught my eye, because coconut oil is so often touted as being transformed in the body to monolaurin, which supposedly helps fight infectious organisms. Perhaps, in that regard, the benefits of coconut oil are more hype than reality. On a slightly related note I recently saw this article that supports the argument against the claim that indegenous societies were healthier and less obese because they had more physical activity. Unfortunately it also cited a comparative diet study lumping high fat foods with processed foods. I'm not arguing that coconut is perfect for everyone, only that on a cultural level, a coconut-based diet doesn't cause the diseases of civilization. I'll keep in mind what you said about your experience with coconut. One of the things I think it's important to recognize about wheat is it may have subtle effects on health that are not apparent on a short timescale. Even though Europeans may have been "weeded out" for 10,000 years, 40+ percent of us still carry genes strongly linked to Celiac disease, and others carry genes linked to gluten-induced autoimmune disease. Thanks for introducing me to tea oil. I have to admit, I'm intrigued. I've found different percentages of linoleic acid listed from different sources, so I'll have to see what the label at my grocery store says. Glad to have you on the blog. Tokelauans suffered greatly from diseases introduced by Europeans (such as tuberculosis, measles and chicken pox), but they had their own infectious diseases that presumably predate European contact. These include ringworm, filariasis and yaws. They're pretty typical of non-industrial cultures (especially tropical ones): not much chronic disease, but riddled with parasites. I don't have any data on that for the Tokelauans. The data I have begin from the period when they were already eating breadfruit. But if you want to see what a Pacific island culture that eats high-carb (69%) is like, check out my Kitava posts. They seem quite healthy. I fixed it, thanks. I've been having some pretty serious technical problems with my e-mail. You may have noticed that my picture keeps disappearing. Something has compromised my Google account and I can't seem to make it secure again. Changing the password hasn't worked. I even reformatted my home computer and put Ubuntu Linux on as the OS because I thought it was a Windows virus that I wasn't detecting, and I'm still having problems. I suspect it may be my Mac at work that's infected with malware or something. Tropical parasites have evolved for millions of years to evade our immune systems. When it comes to intestinal worms, filariasis and the like, coconut isn't going to cut it! Nice find! I may write a post about that. It adds to the hypothesis that lack of exercise is not behind the obesity epidemic. Robert - I was eating fresh coconut. Cracked the nut myself. Drank the juice. Ate the meat over a few days. Immediately noticed increased hunger, hypoglycemia increasing, and breakouts. Mood became crappier as well. Coconut oil is less of a problem, presumably because it has less carbs... but the oil is inferior to butter or beef fat as far as I can tell. I for one would love a post on the supposed exercise-body fat relationship. I went to gyms for 2 decades and didn't change my bodyfat one percent, until I gave up and decided to concentrate solely on diet, drastically changing from the typical western diet to an HG-styled one. Depending on the exercise itself, there are proven hormonal effects such as lowered insulin, raised insulin sensitivity, lowered cortisol (assuming you're not doing marathons), raised growth hormone levels and raised melatonin levels during sleep. 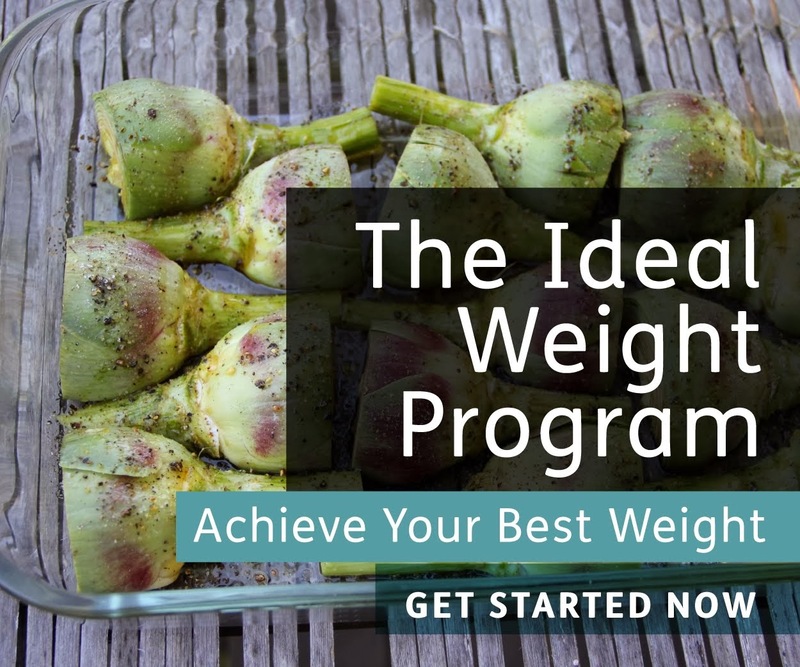 But it's difficult to see the effect of exercise in experiments because those who embark on an exercise program usually also resolve to change their eating. They are also usually already out of shape and/or show metabolic syndrome and are therefore not within normal HG hormonal ranges, so any positive results will seem exaggerated. But take someone who's been eating real food (not western diet) for several years and THEN add exercise, and is there any significant improvement? My guess would be not. Exercise an hour a day, 3x a week is nothing compared to eating properly all day, every day. Just look at the people on the treadmill at your local gym, who slave away every day but are still overweight. That's pretty much how I see it. Exercise is great, but it's not the most effective way to arrive at/maintain a healthy weight. I may post on this in a few weeks. Great post everyone. I recently read the Tokelau Island Migrant study in Taubes book and am intrigued. I wanted to post a message for ItsTheWooo - you mentioned that you had negative reaction to coconut. Perhaps you have a allergy to this particular food. Have you had blood allergy testing done for foods you might be sensitive to? Just my 2 cents. Would anyone know why that would be the case: why Europeans that were supposedly the first to introduce wheat to their diet are most vulnerable to gluten? I read that among Asians, gluten sensitivity is like 1% and that there are far less celiacs. You may want to also explore ethnic groups that consume starch on two fronts: for example, Hispanics and Indians eat both rice and bread, unlike Asians and Pacific Islanders who used to eat just white rice or tubers, exclusively. My understanding is that the diabetes rate among Indians is one of the highest. In Singapore, most diabetics are Indians, not Chinese. Could it be that the "double starch" of rice and wheat is making them more vulnerable? The same with the Hispanics in North America who love to eat both rice, tortillas and tacos. Gary Taubes says that sugar is sugar from whatever source so how much fruit were those islanders eating? Is there any reference to that anywhere? Jack B. Nimble - my own suspicion is that dairy is often the real culprit - or, at least, an aggravating factor - especially when consumed in combination with gluten or other potentially troublesome foods. Europeans typically use dairy products, whereas Asians typically didn't (though they are becoming more Westernized now, and are now experiencing many of the same health problems). Many of my health problems either vanished completely or lessened considerably when I ditched the dairy 3 years ago. With all the great plant-based milks available, that is an incredibly easy change to make.